After a while of announcing it, Sony has now set up the option to change your PlayStation Network online ID. The first change is free, and each subsequent one will cost ten bucks (five if you have a PS Plus subscription). However, some games aren’t going to support the feature, even those developed after April 1st 2018, contrary to what the good people at Sony stated before. 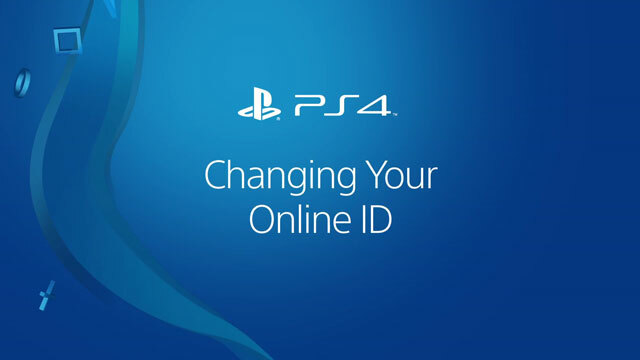 The feature that many have been asking for Sony to add to the PlayStation Network, the ability to change your online ID, has finally been added. They’ve been announcing it for quite a while; starting today, it’s finally here. And, well, there are a few asterisks to the whole thing, but we’re going to get to that in a little bit. So, how does the whole thing work? Well, that depends on whether you’re doing it via your PS4 or via browser. If it’s on your console, go to Settings, then to Account Management. From there, select Profile, and there you’ll find Online ID. Enter the Online ID you want, and follow the prompts until you complete the process. If you’re doing it over your web browser, sign into your account and click on PSN Profile in the menu. Find the Online ID option, and click Edit. Enter your Online ID of choice, and follow the prompts to the end. Now, you might be asking, is there a catch here? Well, yeah, there kinda is. Turns out, your first ID change is free. Every subsequent change is going to cost you $9.99. If you have a PlayStation Plus subscriber, it’s gonna be $4.99. Also, it seems that some games published after April 2018 don’t support this feature, even though they were all supposed to be developed with the feature in mind. So, be careful. If you have more questions, check out the post on PlayStation Blog, or the video embedded below.